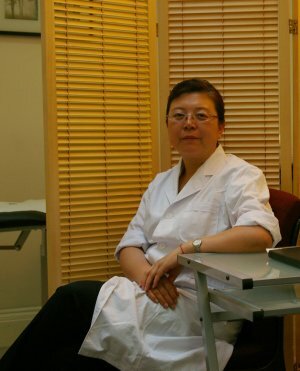 Professor Li has over 30 years extensive clinical experience and is a well-known acupuncture and traditional Chinese medicine specialist in numerous diseases and chronic illness. She specialises in the treatment of: infertility, acupuncture aided pregnancy, diabetes, cardiovascular, cerebrovascular, apoplexy, rheumatoid arthritis, nephropathy, cerebrovascular problems, eczema, depression, aches, pains, skin problems, sciatica, arthropathy, tristimania, insomnia, all types of cancer, as well as many other illnesses and diseases. Throughout her career, she has cured thousands of patients and received their praise and respect. She has also managed and lead various clinical research projects and published more than 30 medical academic papers in professional periodicals at home and abroad. Her academic status and advanced treatment skills in acupuncture and Chinese medicine have earned her an excellent reputation in both China and the UK. She is an executive member of Tianjin Chinese Medicine Association, Tianjin Acupuncture Association and the Association of Traditional Chinese Medicine and Acupuncture UK (ATCM). In 2007, she came to London to start up her own clinic in Harley Street. Meanwhile, she also lectures，at Middlesex University, teaching BSc Traditional Chinese Acupuncture.